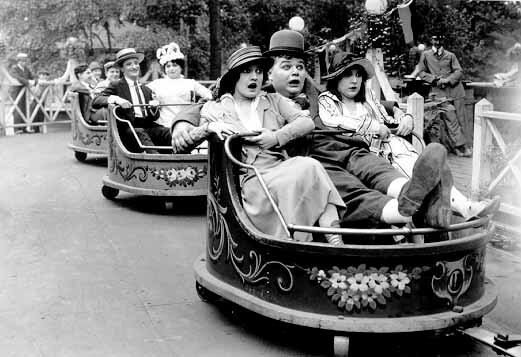 In Coney Island, Fatty Arbuckle travels to an amusement park where he competes with Buster Keaton for the heart of a girl, which leads to havoc. In Fatty and Mabel Adrift, the beach front house where Fatty and Mabel live has been “launched” out to sea by villains. When Fatty and Mabel arise, they find their beds floating in a sea of water. Arbuckle was accused (and eventually exonerated) of causing the death of Virginia Rappe in 1921. He was able to obtain work only as a director afterward and died on the day he signed a contract for his big comeback in 1933.